Bridal boutiques, stationery shops, retailers – we want you! 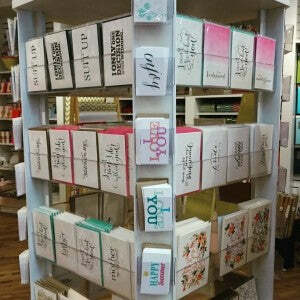 If you are interested in carrying Marrygrams in your store, we’d love to hear from you! We currently offer will you be my cards, wedding day cards, thank you cards, table numbers and holiday collections via wholesale to stores all around the nation. Please introduce your shop to us at info@marrygrams.com so we can send a catalog your way!